This document will cover the first steps in getting started with the Elevated X Basic CMS. It also applies to the Pro version. 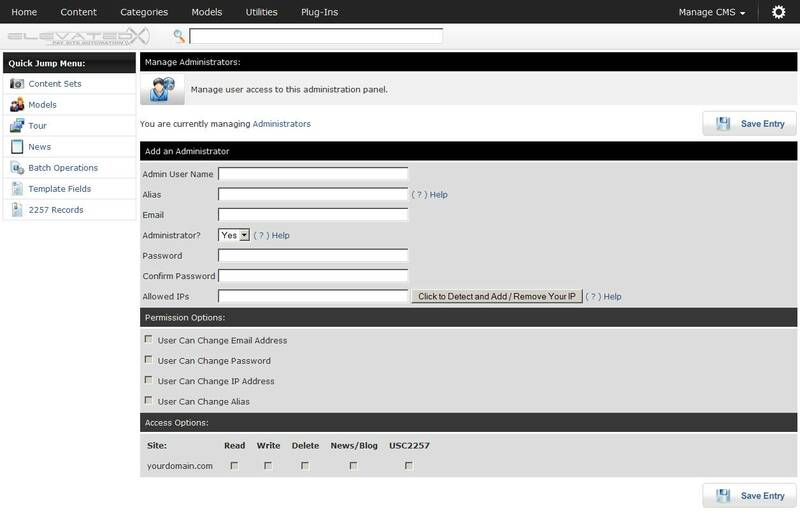 1) Open your Internet browser(We recommend FireFox) and go to the URL of your CMS Admin area. 2) You will first need to read and accept the terms and conditions. Enter your name and position and click the checkbox if you agree to our software license terms and conditions. 4) Fill out the fields for the username of your administrator account and click "Save Entry"
5) You'll be asked to log in with the user info you just created. 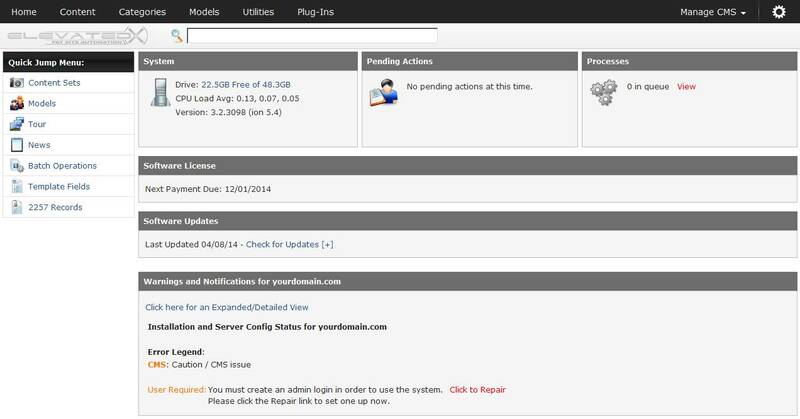 6) When you login you should see a message that says "PASS: A check of the software returned no errors". If there are errors, please contact support for help with the configuration and supply them with any messages shown in red text. Red text errors are typically hosting related. Orange text errors are setting conflicts.